The lobster was piled up very generously indeed. I really like this lobster to roll ratio, although unfortunately the lobster meat was a tad overcooked, so it was a bit chewy. We also got a whole boiled lobster, which was cheaper than the roll (because they didn't have to crack it for us). This was more satisfying to us, the lobster was cooked better so it isn't as tough. 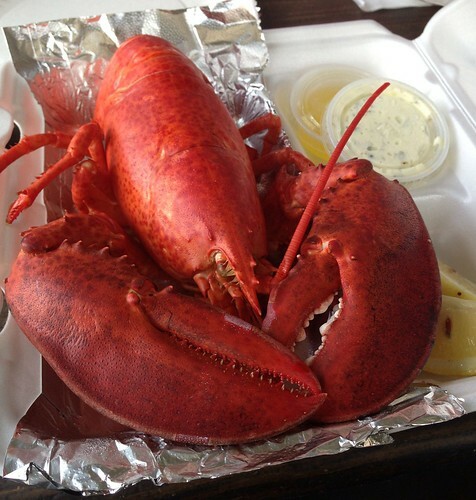 This one is a fresh lobster with succulent meat, served with drawn butter on the side and tartar sauce if you so wish. 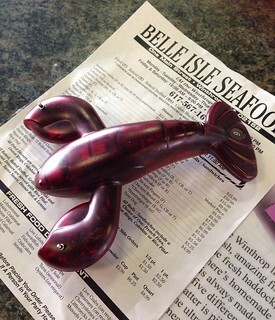 Overall, I can see Belle Isle being popular because of the generous serving, but I've definitely had many lobster rolls with better lobster meat. 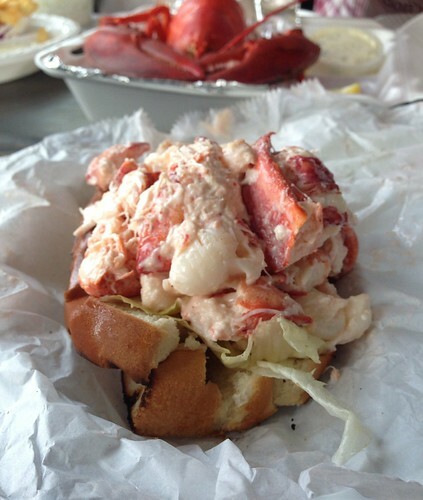 If you can't get to Maine and looking for a lobster roll in Boston, check out Neptune Oyster.